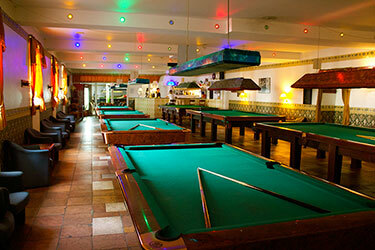 Hotel has NB billiards club, which has 5 Snooker tables, 4 Pool tables and 2 Russian billiards tables. We are open every day. For our loyal customers we have NB discount card. We have a restaurant* where you can have a lunch or a dinner. Restaurant is open every day from 12:00 – 21:00. *Every working day from 12:00 to 16:00 the restaurant offers business lunch for special prices. Every Monday Pool amateur league tournament is held in our billiards club from 19:00.